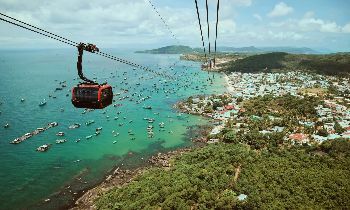 Apart from seafood, Phu Quoc is famous for many special specialties that you should spend the time to find and buy as gifts for your family and friends. If you are interested in this topic, let’s check this post! Phu Quoc is home to one of the most fragrant and delicious kinds of pepper and one of the largest places producing pepper in Vietnam. Phu Quoc pepper is famous for the hard peppercorn, spicy and fragrant. Pepper farmers harvested ripening pepper mostly by their hands. After picking the peppers from the trees, they will divide it into 3 types: red peppercorn, white peppercorn, and black peppercorn. Nowadays, Phu Quoc pepper is not only planted for economic purposes but also for the values of culture and tourism. 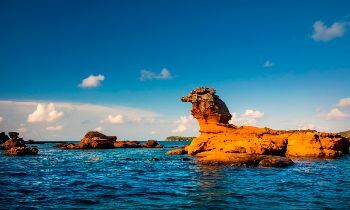 This specialty becomes one of the signs to identify Phu Quoc in tourist’s eyes apart from the sunny tropical beaches, and luxury resorts. So far Phu Quoc pepper is a special specialty and unique gift for tourists when visiting the Pearl island. The areas of pepper production in Phu Quoc are Ganh Gio hamlet, Suoi Da hamlet, Suoi May hamlet, and Khu Tuong. 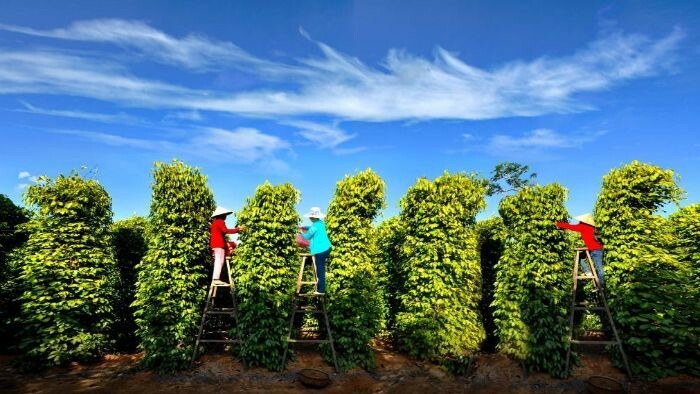 When traveling to Phu Quoc, don’t miss a trip to visit Phu Quoc pepper farms, the Phu Quoc pepper farms are always in the list of tourist destinations in Phu Quoc. Whenever you step into the pepper farm, especially at the harvest time, you will be admired the views of pepper ripe red on the tree, let’s enjoy the pungent aroma and learn from the farmers about the experience to raise and harvest the pepper. Finally, don’t forget to buy a pack of authentic Phu Quoc pepper as a gift for your family or your friends. 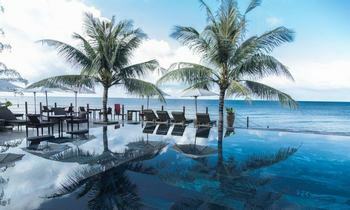 Phu Quoc is a famous tourist destination attracting tourists by the sunny beaches, blue crystal sea, and the specialties that have become private brands of this island, especially the Phu Quoc Pearl. 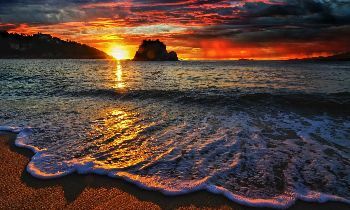 For that reason, the island was also named Pearl Island. Along with promoting tourism in Phu Quoc, Phu Quoc pearl is exploited to become a famous brand because of its luxurious beauty, it not only is an accessory to highlight the beauty of women but also brings the luck to users. So this item is very popular with visitors, especially with women. 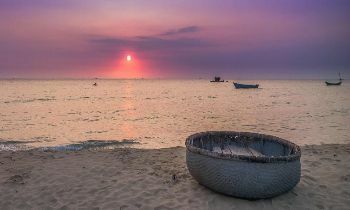 To learn more about Phu Quoc pearl, visitors will have the opportunity to visit the Phu Quoc pearl culture facilities. Coming to Phu Quoc pearl culture facility, visitors learn more about pearl products, as well as the quintessence and magic of this product created at the bottom of the vast ocean. 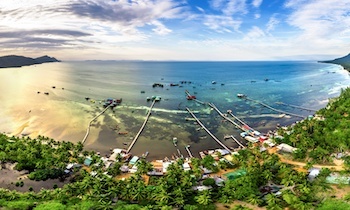 Pearl farming is associated with great contributions in the economic development and tourism of Phu Quoc. 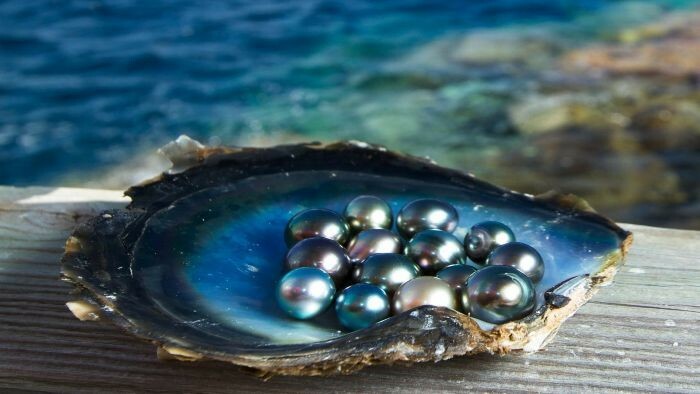 With natural conditions such as: clean, smooth waves and especially the salinity of seawater is very suitable to carry out the culture process, therefore, Phu Quoc pearls are durable and beautiful. Fish sauce is a traditional dipping sauce of Vietnam and people in Phu Quoc has produced this kind of national dipping sauce since 200 years ago. Phu Quoc fish sauce is made from raw anchovies. Anchovy has about a dozen categories, but only stripe anchovy, red anchovy and grey anchovy are the highest quality materials to make fish sauce. The differences of Phu Quoc fish sauce is the anchovies are mixed right on board. The fish will be picked up by the fish racket, remove impurities and rinse with sea water, then the fish is mixed with salt and immediately put down hatches. Mixing fresh fish to keep fish not decompose and the sauce has the highest protein content. Phu Quoc fish sauce is known as a famous specialty of this island. Visitors come here, do not forget to bring a pair of fish sauce bottles to bring as a gift. 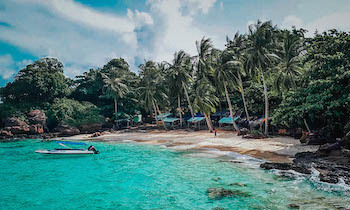 Dalat and Ninh Thuan province are famous with wineries, but Phu Quoc also has a tasty kind of wine named Sim wine which is a very special wine that its winery is located in the southwest of Phu Quoc island. This wine has a special taste that is equally as delicious as wines import. Sim wine is made by Rose Myrtle ‘s fruit from Phu Quoc. 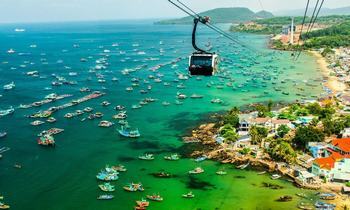 Phu Quoc island is the only place in Mekong Delta area that has Rose Myrtle. Most of Rose Myrtle grows in the protected forest of Ham Ninh, Duong to and Cua Duong. Myrtle has two types including the Rose Myrtle and Small Myrtle, Myrtle’s leaves are white and hairy on the underside, when ripe, the fruit turns purple. Whereas, people often use Rose Myrtle to make Sim wine. Rose Myrtle has fruit all year, but Rose Myrtle’s fruit in the spring is the best quality of having a lot of honey and the best material to make Sim wine. 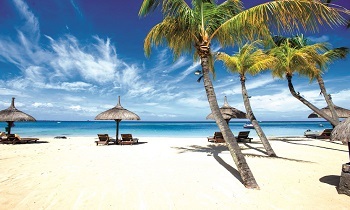 If you have a plan to visit Phu Quoc, don’t miss a trip to choose the suitable specialties for friends and family. Like and share this post if it is useful for you! Thank you!